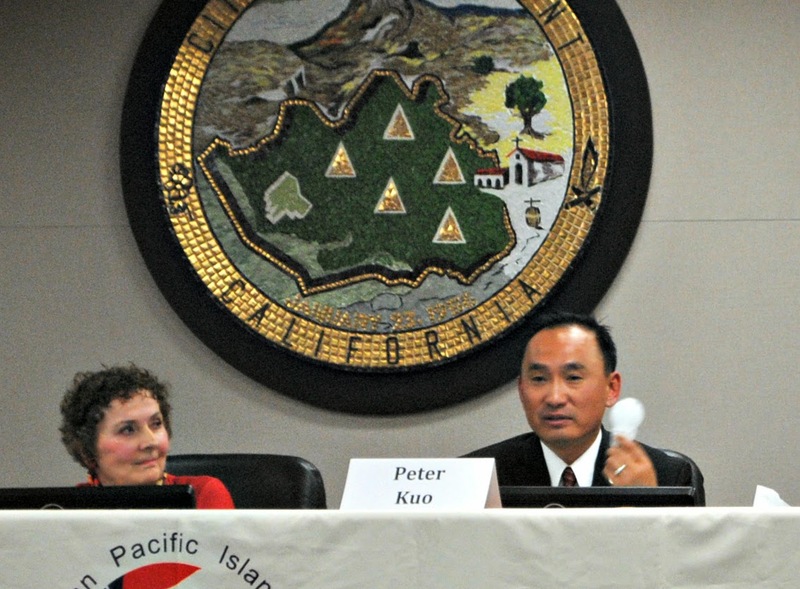 STATE SENATE | 10TH DISTRICT | While his opponents in the State Senate 10th District race were busy at candidate’s forum last Friday night in Fremont, Republican Peter Kuo was all dressed up with nowhere to go. Well, not exactly, but the non-partisan League of Women Voters of Fremont, Newark and Union City say they forgot to invite the lone Republican in the five-person race. Sam Neeman, co-president of the south county chapter of the League of Women Voters invited Kuo to record an interview this weekend to be included with footage of the April 25 candidate’s forum. Meanwhile , Kuo has successfully tapped into a vein of campaign fundraising through his opposition of SCA-5, state legislation unpopular with Asian American voters. Some believe the issue has the potential to propel Kuo into the top two come the June primary. Others vying for the seat include Assemblymember Bob Wieckowski, former Assemblymembers Mary Hayashi and Audie Bock, in addition, to Roman Reed. Posted in Fremont, June primary, League of Women Voters, Peter Kuo, SCA5, State Senate. Bookmark the permalink. What, they can't count to five? This is inexcusable. Alameda Registrar of Voters website failed to list Kuo because he filed in Santa Clara County, also part of this new State Senate district 10 (see my website). LWV honest mistake.